As part of its continuing reforms to suit evolving educational needs, UNSW Sydney, one of Australia’s leading research and teaching universities, is switching the dates of its Academic Calendar from 2019 to a February-December one like the US quarter-calendar in use by top universities like Stanford and UCLA. According to the new calendar, UNSW would have three 10-week teaching terms, and an optional five-week summer term, in a year. “As part of a progressive and innovative 2025 strategy, UNSW is moving to a new academic calendar model from February 2019,” the varsity, ranked 45 in the QS global rankings, announced. The alignment with the Northern Hemisphere University calendars will help create more global opportunities for students and reduce pressure on them. Students will study three rather than four courses each term. The 2019 edition of the QS World University Rankings: Graduate Employability, that reviewed 500 universities, has placed UNSW 28th in the world for graduate employability. The new calendar timetable would begin with an Orientation week from February 11-15, 2019. Term one would begin on February 18, while the last day of Term three after the exams would be December 14. UNSW currently has an academic calendar that begins in early March and ends late in November. In October 2018, UNSW will be moving to annual enrolment, which will allow students to better plan their studies by enrolling in all their courses for the following year. The varsity will have two Undergraduate admission intakes per year – in Term 1 and Term 3. From 2019, graduation ceremonies will be held three times a year at the end of each Term. Located in Sydney, a safe and student friendly city, UNSW is home to more than 52,000 students from nearly 130 countries. 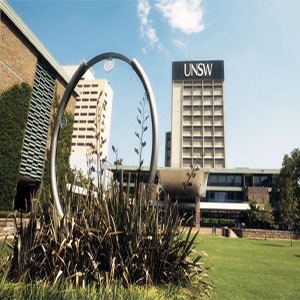 UNSW has been attracting a growing number of bright Indian students for Undergraduate and Post Graduate studies in Business, Commerce, IT, Engineering, Design & Architecture. As one of the world's leading research and teaching universities, UNSW's cutting edge research and innovation - facilitated by 3,000 faculty - is known for acceptance and successful commercialization.